In exactly one week I will be on a plane to one of the most unlikely of places – Haiti. I’ll be on a 10-day volunteer trip teaching English and helping with locally-run projects. 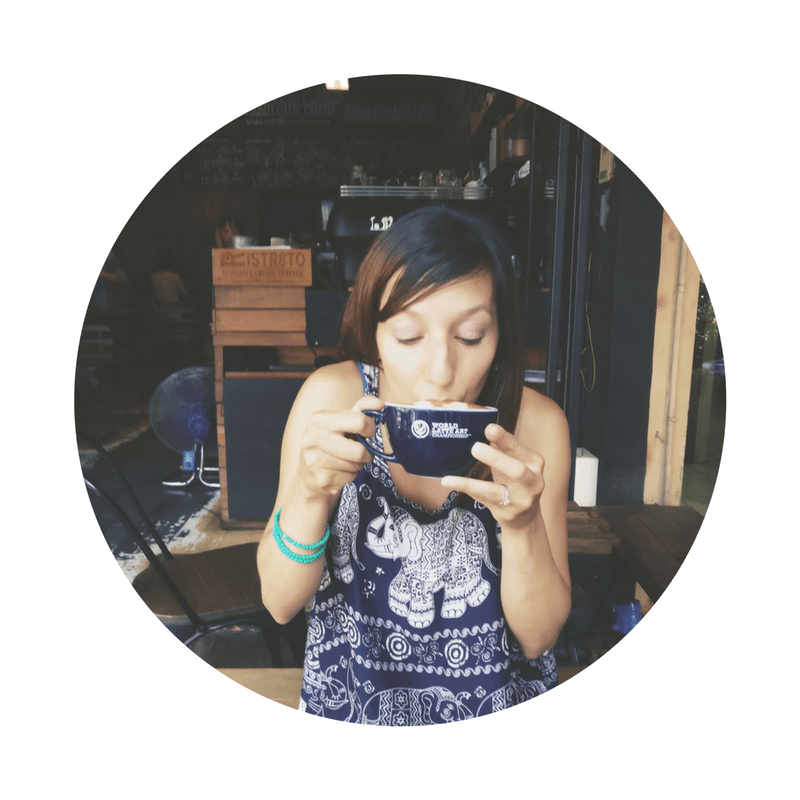 I’m trying to stay away from reading blogs, stories and news articles about where I’m going and what it could be like. I’ve been trying not to research too much into Haiti so that I can go with an open mind, explore with an unshaped perspective, and leave any preconceived notions at home. It’s not easy. For years, media reports have told us Haiti is not travelable. Headlines spin the Port-au-Prince capital as dark, dangerous, and violent. A big yellow travel warning on LonelyPlanet.com tells me I should be avoiding it. When I tell people I’m going to Haiti I get raised eyebrows or speech bubbles of question marks about why I’m going. Even my doctor looks at me wary when I ask him about vaccinations. Some are still not sure where to plot Haiti on a map (it’s in between other tropical islands Jamaica and Dominican Republic). Around the time the earthquake happened in 2010, I was working at a major news station in my hometown. I remember the events being more tragic than any other story I had been assigned to. The death toll kept rising each day upto at least 150,000 with more than 50 repeated aftershocks and for a few weeks after it happened, the same negative pictures and footage would replay over and over. That was only for a few weeks and then we went back to Justin Bieber or what Beyonce was wearing. But the story about Haiti stuck with me. Even inspired me. A couple of years later I would turn down a job as a mainstream reporter at a big national network to travel, volunteer and use my journalism for something more meaningful. My trip to Haiti may just be my most meaningful assignment yet. I am volunteering with English in Mind which provides English classes to adults in the community of Clercine in Port-au-Prince. What started as an NGO is now a full Haitian-led project with 190 students and 5 levels. 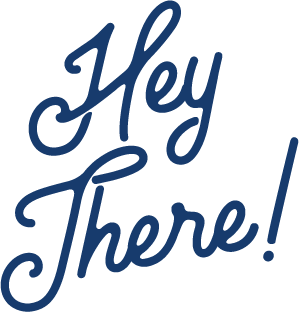 We’ll be there to help teach extra English lessons and incorporate fun games. Giving someone education and English is one of the most lasting things you can do. I wrote about some of the benefits last year on bringing literacy to Haiti. Being able to communicate in English opens doors to share opinions and exchange ideas. In a country where more than 60% of the population lacks employment, knowing English greatly improves their chances of finding meaningful and long-term work like in hotels or restaurants, and jobs otherwise taken up by NGO workers. For them, it means being independent and providing for their families – something that will stay with Haitian people even well after we’re gone. When I was researching NGOs and projects I wanted to work with I knew there was something really valuable about EIM’s work and here is why I believe in this initiative. All the teachers and administrators at the school are local Haitians so my tasks will be added-help to the classes and curriculum already in place. Sometimes volunteer initiatives take away potential jobs from local workers but EIM empowers Haitian teachers to lead their own classes. It means my role will be supplementary and likely a welcomed break for the Haitian teachers who already work so hard the other days of the year. 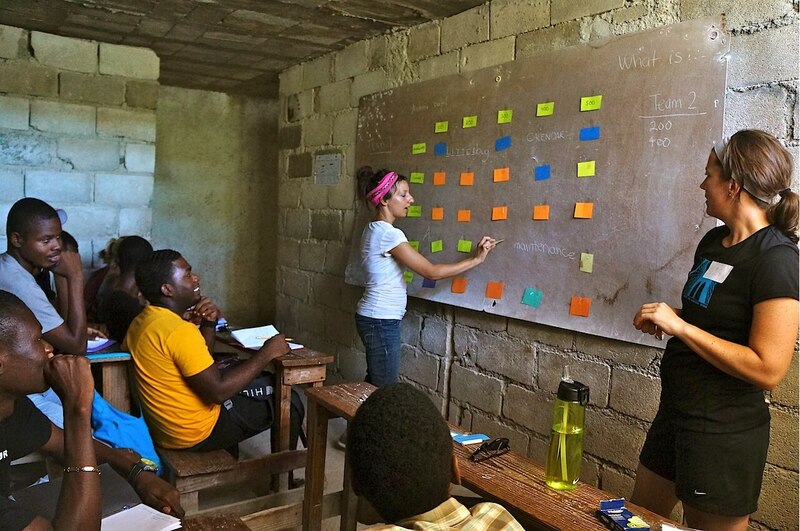 EIM also employs Haitians students to lead some of the trip activities, which not only provide them with rewarding work but they get to practise their English skills. 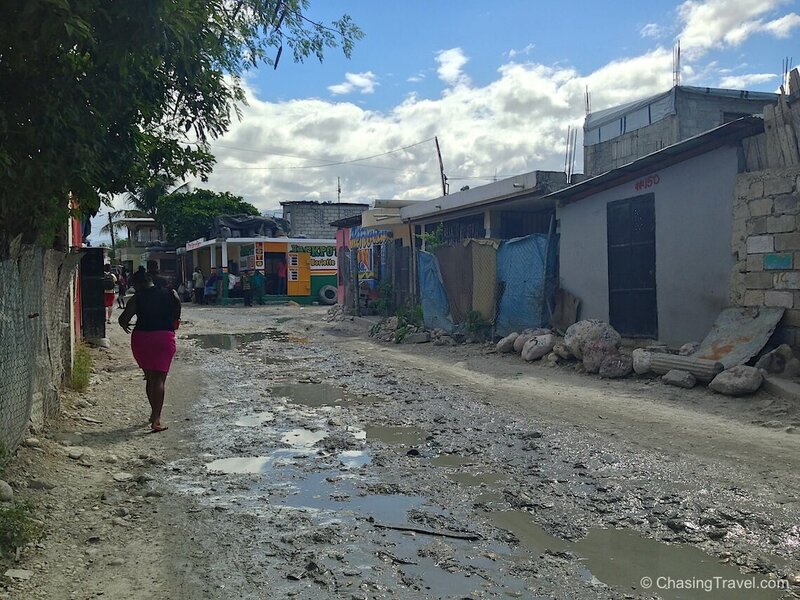 There are other schools in Haiti that teach English, but most people here live on less than $2 a day and can’t afford to pay for education, a most basic human right. Learning shouldn’t be a privilege of the wealthy so EIM is free for students and depends on outside donations to cover things like pencils, paper, and chalk. This video alone is inspiring and I can’t wait to be a part of it! When we’re not teaching we’ll be helping other locally-run projects like an un-orphanage and getting our hands dirty on EIM’s brand new land they just bought! 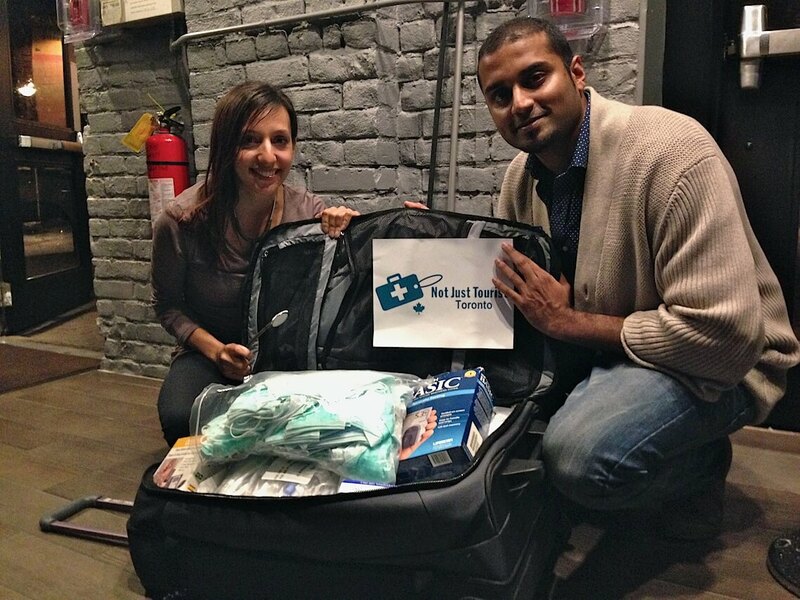 Last month at the Travel Massive meet-up I organize in Toronto, I met Avi at Not Just for Tourists who collects medical supplies for travellers to take to countries in-need. When I told him about my new volunteer trip he showed up with this gigantic suitcase full of First Aid and medical supplies including latex gloves, masks, anti-septics wipes, and blood pressure monitors! I’ll be spending some time with EIM at a clinic which offers free medical care to patients with AIDS and Tuberculosis so I’m sure these will come in handy. Thank you Avi! I normally travel with a carry-on only but this bag is totally worth checking-in and waiting at the conveyor belt for! I will be checking in from time to time to share some photos and updates of our progress in Haiti. You can follow me on Instagram, Facebook, Twitter or the hashtag #EIMHaiti. Depending on wifi, my updates may not be as frequent as my other trips but I am looking forward to unplugging for a bit and taking in the experience.